An important part of Ermesponti emerged in Florence. Paolo and I studied architecture and married there. With notebook and pencil in our hands we learned the most important lessons directly from the buildings of Brunelleschi, Michelangelo and Leon Batista Alberti. Of course we studied all the fundamentals of the discipline through lectures and extensive reading but we discovered the essence of the art of architecture by drawing the buildings again and again. In this way we learned the strong bond between head and hands – architecture and craftsmanship – and we understood how important method is in the arts of the Renaissance. Back in Mantua we began to run the old workshop of the Ponti family. We transformed it with a completely new approach which we appreciated from the Florentine workshops of the Renaissance. It was a lean approach to architectural interiors. We decided to call it Ermesponti’s “end-to-end” method, which starts from scratch and goes to completion. 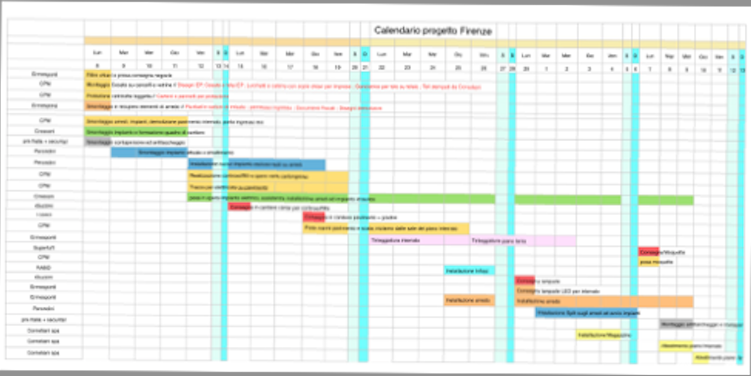 This became the key to completing a range of projects worldwide. (Please see poddaponti architetti website here). 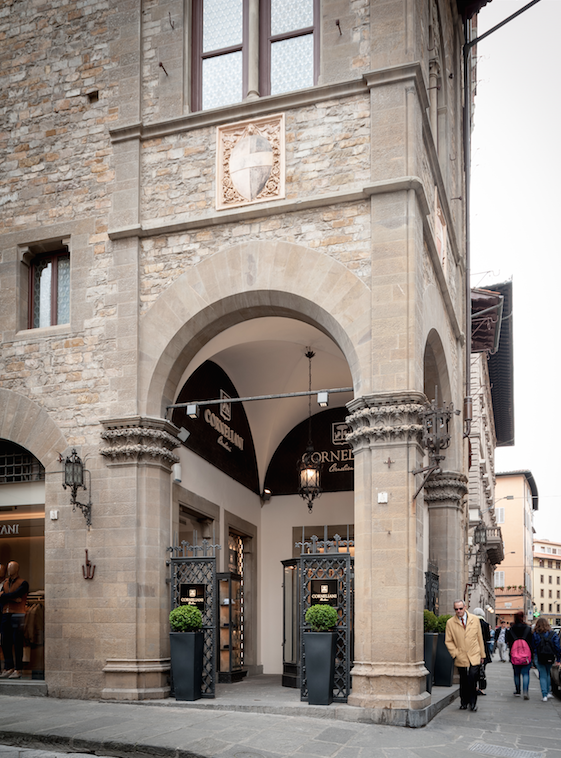 When we came back to Florence later with the task of refurbishing the old Corneliani boutique we were so enthusiastic to use our experience and method there. The location was so special as it was the Palazzo dell’Arte della Lana. It has such an important entrance hall from the Portico by Buontalenti and such an amazing fresco by Maestro del Bargello inside a niche on the ground floor. We immediately decided to apply the very first architectural rule we learned in Florence when we were students. We call it “Genius Loci” , which respects and highlights the character of the building. 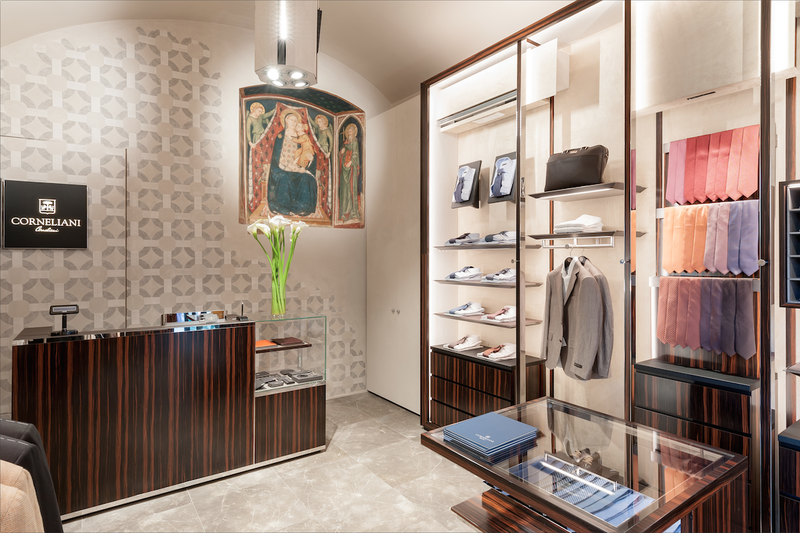 That’s the reason why here in Florence the Corneliani boutique retains the architectural features of this particular location. 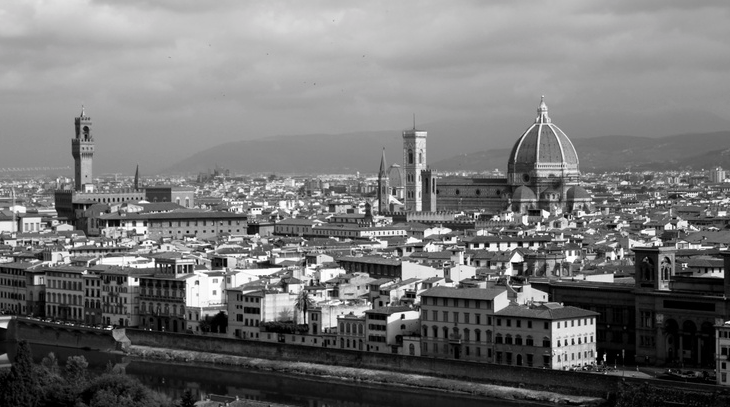 For example, the presence of the Florentine walls was completely respected and the displays reduced to a minimum. The colours of walls and other materials, like wood and marble, were given a slightly mat finish too. Actually the culture of Florence and Mantua came together. On the main wall of the ground floor we obtained permission not to obstruct the fresco as well as the wall. We also designed an understated 3D monochromatic pattern as a background which brings to mind the brand of the company. This pattern was inspired by the frescos of Andrea Mantegna found in the Camera degli Sposi in Palazzo Ducale, Mantua. The company logo was located intentionally in that corner in the manner of Brunelleschi’s details evident in Cappella Pazzi. But our work as architects was not only concerned with design and architectural culture. Using Ermesponti’s end-to-end method, we were able to complete all the work on site in the space of five weeks. The director handed over the shop keys on February the 23. After demolition work , we organized everything from marble floors to ceilings and windows in a couple of weeks. Meanwhile we made bespoke furniture and installed it in one week while the electricians were finishing the Air Conditioning and lighting. We were able to give back the shop keys to the clients and open on the 12 of March 2016. That’s what we mean when we talk of a real turnkey project. ( Please have a look at the time schedule represented below). In the end we were so happy because the results exceeded our client’s expectations. We were also happy to bring back to Florence everything we had learned from the principles of architecture to the fine details of craftsmanship which is the essence of our Ermesponti’s approach to interiors. Find out more on Ermesponti’s website.